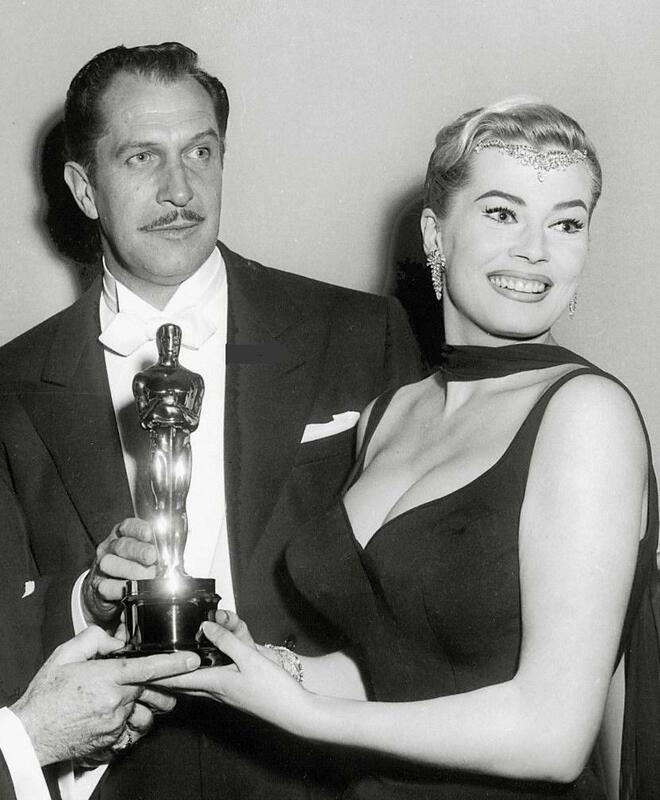 On January 11th 2015 at age 83 legendary actress and model Anita Ekberg passed away. The Swedish beauty Kerstin Anita Marianne Ekberg began her career as a model in her teens. She travelled to the United States in 1951 to compete in the Miss Universe pageant and though she did not win she was one of 6 finalists to receive a starlet’s contract with Universal Studios which offered her training in drama, elocution and dance. Her first big break into the film industry was in the 1955 short-lived TV series Casablanca. After that she starred in two Paramount films in 1955 and 1956, Artists and Models and Hollywood or Bust, and was marketed as Paramount’s Marilyn Monroe. Ekberg was not one to shy from the limelight and would participate in publicity stunts such as having her dress burst open in the lobby of London’s Berkeley Hotel. 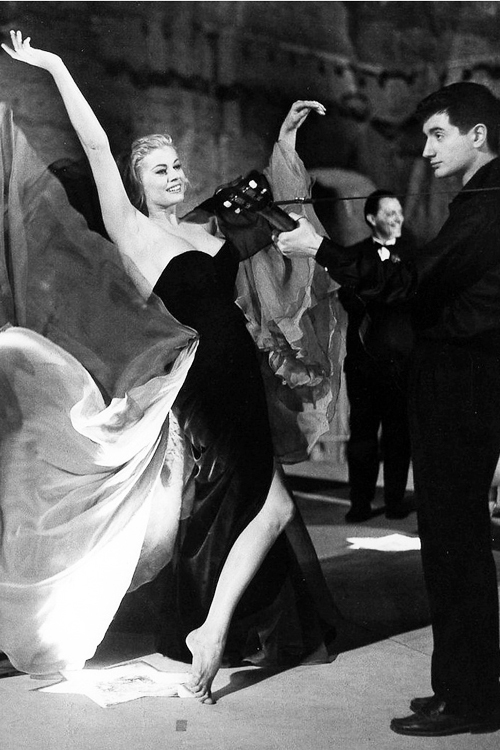 In 1960 Ekberg starred in the biggest role of her career as Sylvia in Federico Fellini’s La Dolce Vita. Ekberg was very frank and honest with the media and would frequently talk about which stars she disliked. In an interview with The New York Times in 1999 Ekberg was quoted as saying, “They would like to keep up the story that Fellini made me famous, Fellini discovered me”. 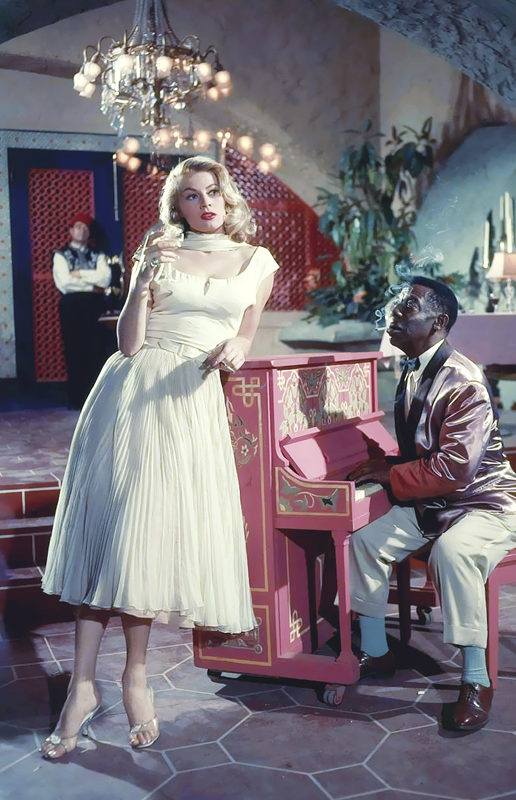 Anita Ekberg died earlier this month in Italy from complications of an enduring illnesses. Her striking image of sultry seductress is burned into the minds of all who gaze upon her photos or soak up in her many cinematic appearances. She will be missed.